DWR instructional designer and composition instructor Mr. Andrew Davis is the recipient of the X. A. Kramer, Jr., award for outstanding teacher for 2014. 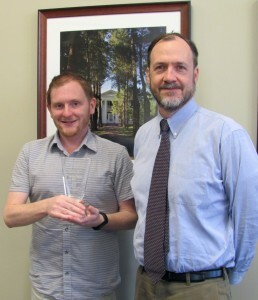 In presenting the award to Mr. Davis, department chair Dr. Bob Cummings noted that Andrew was outstanding in his teaching, which students often comment on in their teaching evaluations of the courses that he teaches. Additionally, Mr. Davis supports many students during his visits to classrooms each semester to help students engage more thoughtfully with reflective writing, how to set up and work with e-portfolios, and how to work with and understand the affordances and challenges of multimodal composing. Mr. Davis’s influence in DWR classrooms is far-reaching: through his work one-on-one with writing instructors in DWR courses, he helps them to think through the requirements of writing assignments, and to effectively respond to student writing. 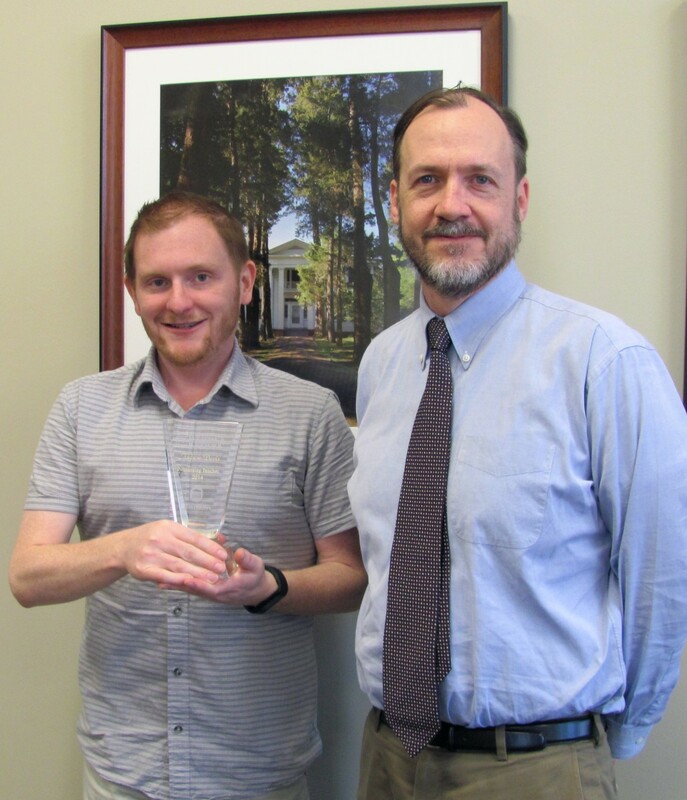 Both faculty and students in the DWR are fortunate to have Mr. Davis and welcome him as the recipient of this year’s Kramer award.